Show off your guns and your blades with this Second Amendment Throwing set! Each throwing knife is designed for an accurate throw every time. 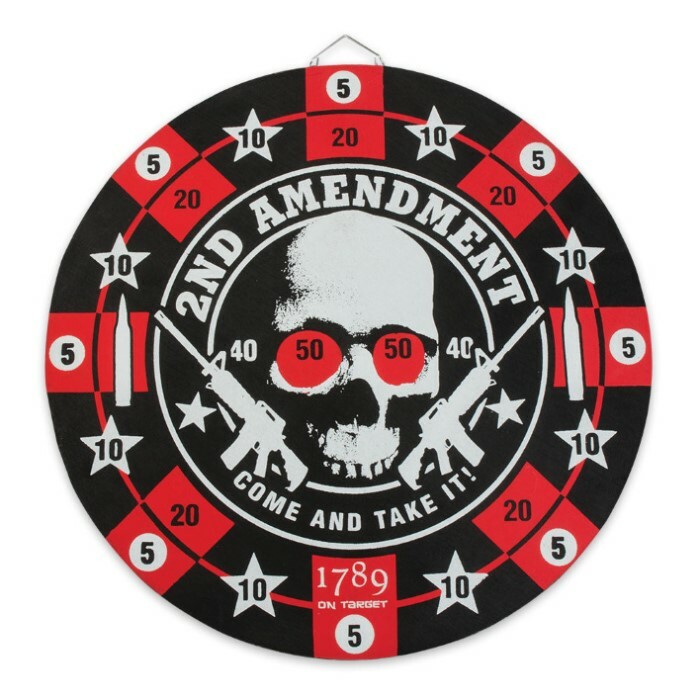 Nail the Second Amendment themed target every time with these perfectly balanced throwers with custom original artwork. Great little starter set for the price. At first I thought they sent me the target by mistake and charged me for it but it comes with the set. 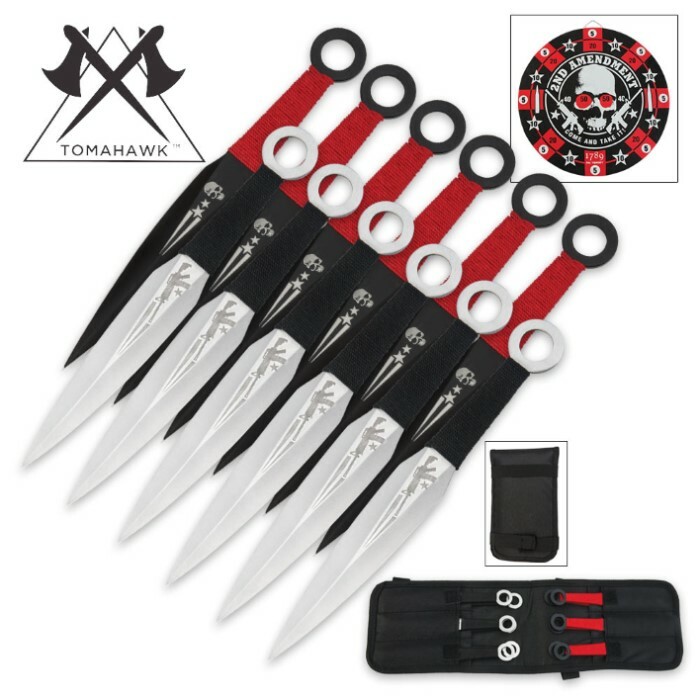 That makes this a great value considering you get 12 throwing knives and a target for $15. On the small end at 6" overall but a nice set otherwise. I thought these knives would be lame, but their amazing and everything is real steel. 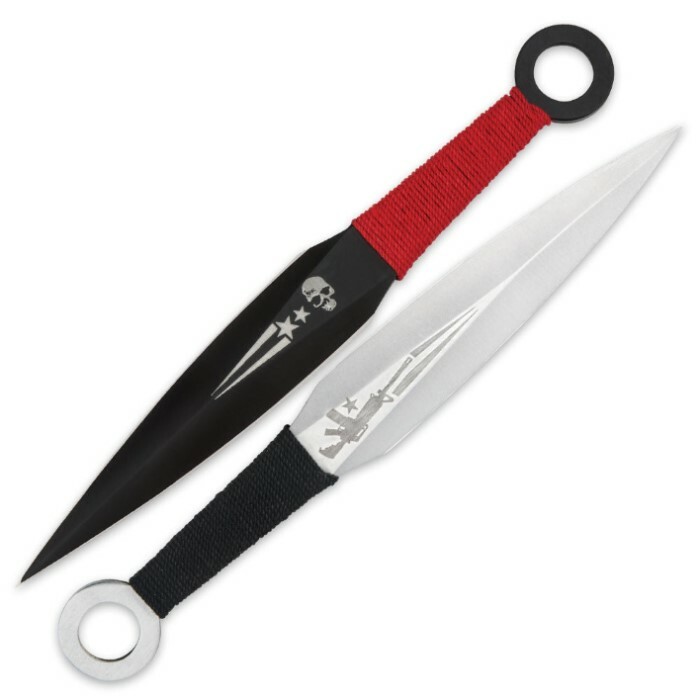 Their light weight and durable and are really great throwing knives. All in all a excellent weapon.